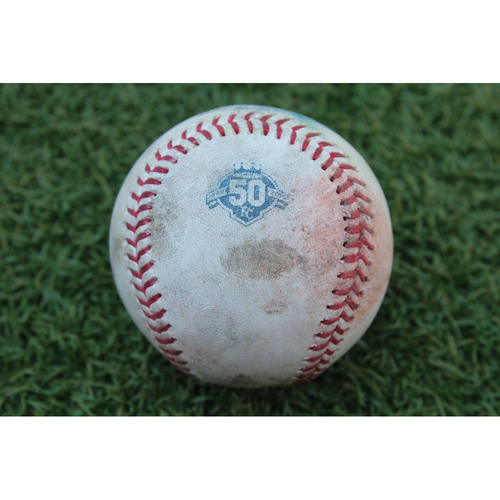 Bid now to win this game-used baseball hit by Mookie Betts, Andrew Benintendi, and Steve Pearce on July 8th, 2018. In the top of the 5th inning, Betts singled on a ground ball to left fielder Alex Gordon. Benintendi singled on a soft fly ball to left fielder Alex Gordon. Pearce singled on a sharp line drive to left fielder Alex Gordon. Mitch Moreland walked, Mookie Betts scored.